More and more authentic (or semi authentic) listening texts are appearing in published materials. In this session we will look at the reasons for this and at how these materials can be exploited fully to provide not just more realistic listening practice but also a rich resource for developing learners’ own language and speaking skills. If the only practice we give our students is with material that does not have these features, how can we really be preparing them to listen in the real world? On the other hand, fully authentic material, material which was never intended to be used for learning purposes, may be a little too authentic. This is what is known as a semi authentic listening. I recently wrote the new edition of Total English Intermediate. This book, and the other levels in the series, contain at least one and often two of these semi authentic recordings per unit, using a variety of native speakers and non native speakers. When we listened to the recordings, we discovered that, as well as providing good listening practice, the scripts were also full of examples of natural English use, which learners could learn from. It is however, not really enough. Learners will either fail to notice salient points, or take a very very long time to notice them. So we also need instruction- or occasions when their attention is drawn to these salient points of language. And, of course, we also need practice. Instinctively, we all know that to learn any practical skills- and that’s what language is- requires practice. So, let’s take an example of an unscripted anecdote about a childhood memory. This appears in Unit 10 of New Total English Intermediate, but you could use any recording which follows the structure of a narrative or anecdote. Obviously the way this is phrased is quite complex, but it can easily be simplified for students. An awareness of this discourse structure is extremely useful because we use it all the time. In job interviews for example, when you’re giving an example of a success you had, when you’re giving an excuse and so on. So, learners are exposed to the discourse structure by being asked to put the main events in order as well as any other comprehension tasks. Next they are instructed in the sequence of narratives and finally they tell their own similar anecdote or story, practising the structure. Alternatively, they could retell the story from the point of view of a different protagonist. This might be useful in an ESOL context, for example, where talking about childhood memories might be inappropriate. building work, construction, drilling, exhaust fumes, heatwave, roads being blocked, horns honking rush hour, terribly cold, tower blocks. We started by asking the students to categorise these words and phrases into Noise, Types of buildings, Weather, Pollution and Congestion. This was the instruction part of the triangle. Next the students listened to the monologues and made notes in each category. In this way they were exposed to the language in context. Finally, they carried out a parallel task describing their own town or city. 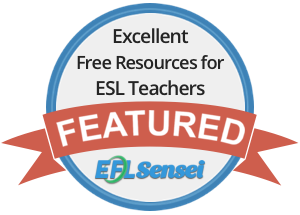 This works well with a recording in which students listen to mote proficient speakers carrying out the same task as themselves, a technique from task-based learning. In my example, learners are asked to use a leaflet to plan a day trip to London. To follow the practice- exposure-instruction triangle, learners could be asked to first carry out the task themselves. That’s the practice. Then they could listen to the recording, which is of two native speakers and one very proficient non native speaker doing the same task and find out what they decide to do. That’s the exposure. Finally, they can look at the transcript and underline the language the speakers use to make suggestions and respond to ideas. And that’s the instruction. While I wouldn’t suggest looking at the transcripts while listening for the first time, they can be a very useful resource. Sound disappears, the transcript captures it so that students can look again and notice the features of natural spoken English. In this case, what they will find is a good number of useful adjacency pairs for making and responding to suggestions. E.g. Incidentally, I noticed a lot of use of the phrase ‘you guys’, despite the fact that all three speakers were female. Probably not something I’d ever have thought of writing in a scripted dialogue. Transcripts can also be a wonderful resource for developing pronunciation and fluency through automaticity. I’m using this term as Scott Thornbury uses it, to mean memorising chunks of language that can then be pulled whole out of your store. He talks about creative automaticity. These exercises are not creative in themselves, but will lead to the learners using the language, or having it available to use (as we aren’t mandating it), in a creative way as they carry out the final task themselves. Firstly, select just a small part of the recording, perhaps some phrases that you expect the learners may want to use themselves in the parallel task, ask the learners to listen again and mark the stressed syllables on the transcript. Ask them what happens to the unstressed syllables- they are weakened or reduced, and use the recording as a model for drilling. Alternatively, students could read aloud at the same time as listening, trying to make their speed and intonation as close as possible to what they hear. This is a very old fashioned technique, and I wouldn’t advise overdoing it, but actually it can really help with being able to deliver chunks in a confident and fluent manner. And finally, students can read the dialogue aloud to each other. I would suggest, however, that to make this a bit more fun, as well as more testing, you set the activity up so that they can look at the dialogue, but only when they are NOT speaking or listening. When they speak or listen, they have to look at their partner. This means that they have to memorise the chunk, in a similar way to a running dictation. While I obviously hope that you’ll take a look at the material in New Total English, all of the ideas could be used with any authentic or semi authentic recording- and there are more and more available.